Hello gorgeousness! 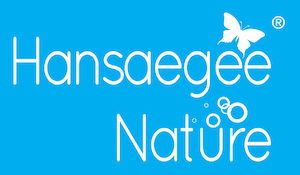 Today I’m going to share about the bubble cleanser and moisturizer from Hansaegee Nature that I have been loving and incorporating in my skincare routine for more than a month now. I’m a girl with oily skin type that gets so scared and insecure to try new products because I know what works well for my skin and I’d like to stick with them for as long as I can. However, being a beauty lover, I will try anything in the beauty world at least once. There’s nothing much I want for my skin other that it to be healthier, brighter and of course, hydrated because as you all know, hydration is the key. Both did not break me out – this what cornerns me the most because living with oily skin is not easy as trying new products might result in oilier complexion if I’m reacting badly to certain products and both of these did not do that to me. The bubble cleanser did not dry out my skin – It did my skin good each and every morning, not only leaving it clean but also keeping it moisturized long after washing process. It was never too heavy, which some foam cleansers do. The moisturizer contains Niacinamide – You know I will love any products that contain it. It evens out my skintone, treats blemishes and I found it really sunk in for long lasting hydration too. I also love it for its unique water-based formula that bursts upon application for what literally feels like slapping water on your face. The formulation – I just love the overall formulation of both products as they are formulated with herbal and natural extracts, so you know most of the ingredients won’t necessarily upset your skin. Made for all skin types – Yes, anyone who has normal skin, oily skin, dry skin, combination skin, or even the most sensitive skin will enjoy these products. I just like the fact that if one product is marketed for all types of skin because everyone can enjoy it and experience it. Their size – They have the perfect size of packaging that’s not too small or too big! Just nice and easy to grip. I don’t have any problem carrying them around when I’m outside, especially the moisturizer! Final thoughts: I would recommend you trying out both of these products and embracing the hydrated, healthier and brighter complexion of yours. They are such a staple in my skincare routine now. I think I should keep in mind how often I use it because I’m scared I might ran out of them soon!